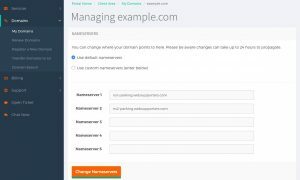 How can I change the nameservers for my domain name? Name servers essentially address for a server which you can use to point a domain to the desired server. If you registered a domain with a new hosting package, the domain should already be pointed to the proper WebSupporters server, but sometimes you may have incorrect name servers or need to change which name servers your domain is pointed to. Login to your Members dashboard. Left Side Menu clicks on Domains. Under sub menu Click My Domains. 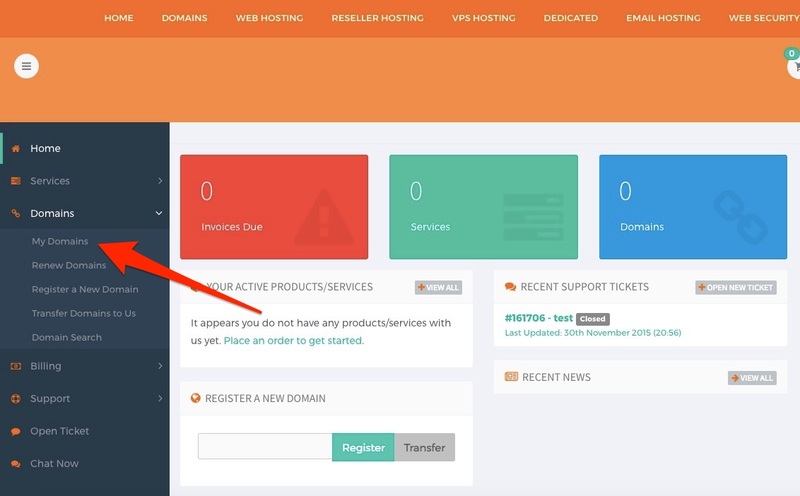 Domain Status whether is pending, active or expired. Whether or not the domain is set to automatically renew. 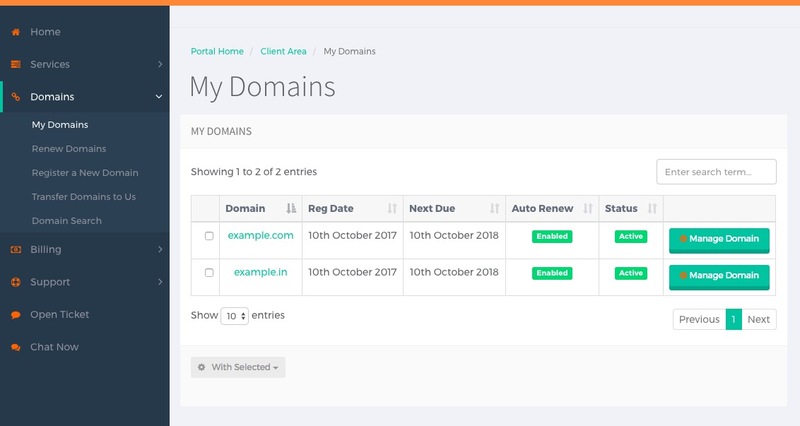 When you click on a Manage Domain in the right side of the domain name, the Domain Overview window will open and show more details and options for the selected domain. 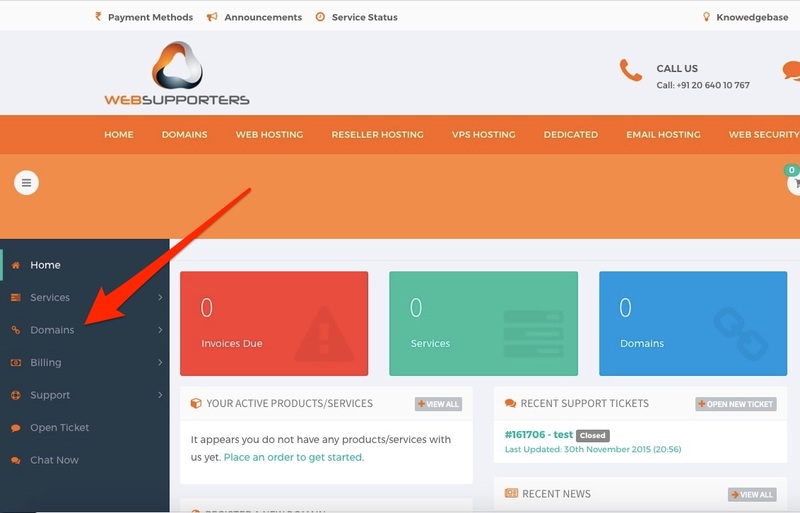 Use default nameservers: If you check this, the WebSupporters default nameservers will be applied. 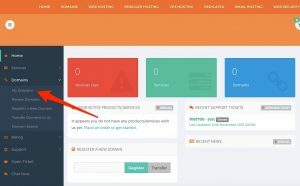 Use custom nameservers (enter below): If you check this, you need to enter the nameservers you want to point. Once you have entered your name servers, click Change NameServers to save your changes. Note: Please remember that nameserver changes can take 24 to 48 hours to propagate. 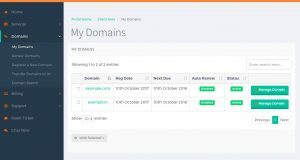 How to Update Domain WHOIS Information? How to Lock or Unlock a Domain Name? How do I manage the domains I register from WebSupporters?